The Civil Defence, Fire, Immigration and Prisons Services Board (CDFIPB) is inviting applications from suitably qualified candidates for full time appointments to fill existing vacancies in the following positions in the Federal Fire Service (FFS). Applicants must possess a Bachelor’s Degree or its equivalent from a recognized university. Applicants must possess Higher National Diploma or its equivalent from a recognized Polytechnic/Institution. Applicant must be Registered Nurse (RN), Registered Midwive (RM) or Registered Nurse/Midwive (RN/RM) from recognized institutions. iii. Assistant Inspector of Fire (AIF), General Duty, CONPASS 06. Applicants must be holders of GCE Ordinary Level, SSCE/NECO or its equivalent with a minimum of five (5) credits in not more than two (2) sittings, which must include Mathematics and English Language. Applicants must be holders of GCE Ordinary Level, SSCE/NECO or its equivalent with a minimum of three (3) credits in not more than two (2) sittings, which must include at least English or Mathematics. a. Applications must be online. Candidates are expected to log into the website www.cdfipb.careers or www.fedfire.gov.ng, fill and submit the application form online. b. Candidates for the positions on Categories A and Bi (Holders of Degree and HND certificates) are expected to log into the website www.cdfipb.careers fill and submit the application form online. 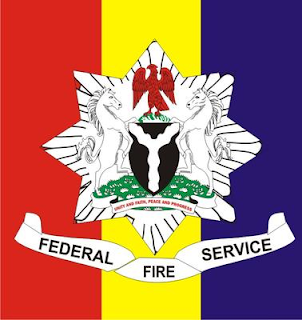 c. Candidates on Categories B ii and C (ND, NCE, NATEB, SSCE, NECO or their equivalents) are to log into www.fedfire.gov.ng to fill and submit their applications. d. Candidates are advised to print out the Referee form which must be duly completed for siting during screening and submission during documentation. e. Candidates should NOTE, that Multiple Applications will automatically lead to disqualification. Applications must be submitted online within six (6) weeks from the date of publication.